The properties of these lead bricks recovered from ancient shipwrecks are ideal for experiments in particle physics. Scientists from the CDMS dark matter detection project in Minnesota (USA) and from the CUORE neutrino observatory at the Gran Sasso Laboratory in Italy have begun to use them, but archaeologists have raised alarm about the destruction and trading of cultural heritage that lies behind this. The journal Science has expressed this dilemma formulated by two Spanish researchers in the United Kingdom. 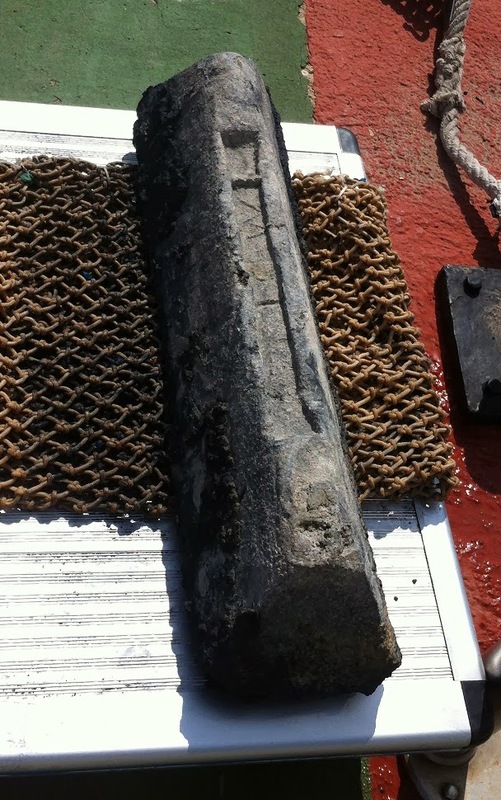 Two thousand years ago, a Roman vessel with ingots of lead extracted from the Sierra of Cartagena sank across the waters from the coast of Sardinia. Since 2011, more than a hundred of these ingots have been used to build the 'Cryogenic Underground Observatory for Rare Events' (CUORE), an advanced detector of neutrinos – almost weightless subatomic particles at the Gran Sasso National Laboratory in Italy. As Elena Perez-Alvaro explains to SINC from the University of Birmingham: "Roman lead is essential for conducting these experiments because it offers purity and such low levels of radioactivity all the more so the longer it has spent underwater which current methods for producing this metal cannot reach." "Lead extracted today is naturally contaminated with the isotope Pb-210, which prevents it from being used as shielding for particle detectors", adds physicist Fernando González Zalba from the University of Cambridge. The two researchers have published a study in the journal 'Rosetta', also commented upon this month in Science, which poses a dilemma: Should we sacrifice part of our cultural heritage in order to achieve greater knowledge of the universe and the origin of humankind? Should we yield part of our past to discover more about our future? 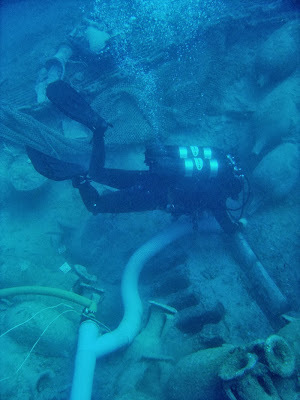 "Underwater archaeologists see destruction of heritage as a loss of our past, our history, whilst physicists support basic research to look for answers we do not yet have," remarks Perez-Alvaro, "although this has led to situations in which, for example, private companies like Odyssey trade lead recovered from sunken ships." This is the company that had to return the treasure of the frigate Nuestra Señora de las Mercedes to Spain. The underwater archaeologist and the physicist are encouraging dialogue between both collectives, as well as developing legislation that regulates these kinds of activities, without limiting them exclusively to archaeologists, and including scientists. "Recovery for knowledge in both fields, and not merely for commercial reasons," the scientists stress. The jury is still out. In the case of the CUORE detector, for example, in principle the lead from the least well-preserved Roman ingots is used, although their inscriptions are cut and preserved. Some archaeologists also suggests that there are other pieces of valuable metal, such as anchor stocks, rings or tackles for fishing that we should assess whether or not to "sacrifice for science". The problem is that they are protected by UNESCO's 2001 Convention on the protection of underwater cultural heritage if they have been under water more than 10 years and the 2003 Convention for safeguarding intangible cultural heritage. Regarding the habitual use that Romans made of these ingots, Pérez Álvaro points out that there are many theories, "but they were generally used as water-resistant material for pipes, water tanks or roofs, but also in the manufacture of arms and ammunition." Perez-Alvaro, E. (with González-Zalba, F.) "Experiments on Particle Physics Using Underwater Cultural Heritage: The Dilemma". Rosetta 13.5: 40-46, 2013. Reference in News de Science 342, 1 November 2013.